Thank you for joining the event! The current, top-level AI research and education in Finland will be displayed during our whole-day event. 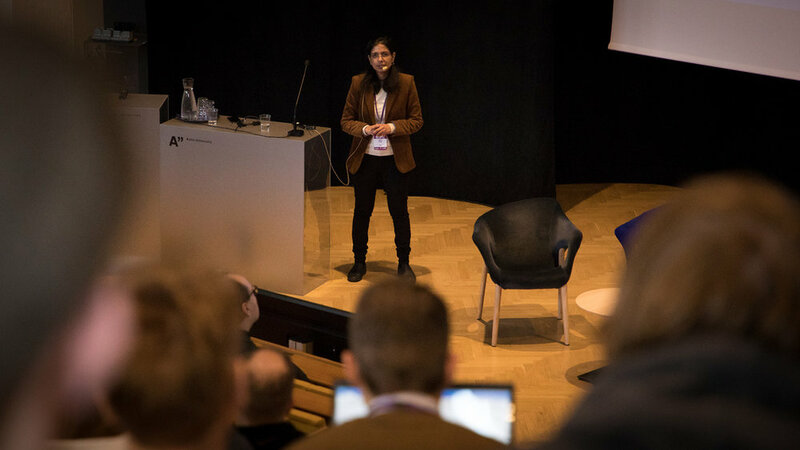 Introducing the leading trends of AI research, the program includes four plenary sessions on data efficiency; privacy, security and fairness; understandability; and societal impact of AI. Along with the session speakers, the event highlights a wide set of posters, demos and short presentations of the latest AI research in Finland. Last year's AI Day was a true success with fully-booked house and representatives from over 180 companies joining the event. This year the event will be even larger, longer and more diverse than last year. Come and showcase your technology, present your solutions, and research as well as share problems that need solving. Reserve a stand to exhibit your business and research. We offer intriguing matchmaking opportunities—you are welcome to meet with students and researchers, to find new partners, and to discuss how AI is changing the world. Get a head start for your organization and discover new opportunities for your business! Present your results and network with potential partners from both private and public sectors. We offer academic contributors an opportunity to showcase your research as posters, demos and short presentations. The registration period for academic contributions has now ended. Etsimo Ltd. and Etsimo Healthcare Ltd.
AI Day is organised in Dipoli (Otakaari 24), in Otaniemi campus of Aalto University. See the link below to learn how to arrive to the campus and find Dipoli. The activities below are organized in collaboration with AI Day 2018. We recommend you to consider these opportunities. Finland’s Artificial Intelligence Programme’s Ethics challenge invites enterprises to join in the ethical use of artificial intelligence. Already many companies have joined the AI Ethics challenge. However, much more are needed to reach the year end goal of 300 companies. FCAI is a supporting the AI Ethics challenge and is inviting all enterprises participating AI Day to join the movement! The program utilizes the experts in the field and it is a joint effort of Aalto PRO, University of Helsinki HY+ and Finnish Center for Artificial Intelligence FCAI. EIT Digital Innovation Day takes place on the preceding day 11.12.2018 in Dipoli. You can learn from inspiring keynotes, latest showcases and connect to the leading actors in digitalisation in Finland and Europe around the 2018 theme Smart Cities. AI Day is an annual event organized by the Finnish Center for Artificial Intelligence. 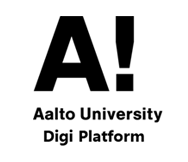 AI Day 2018 is supported by Aalto University Digi Platform and Finnish Academy of Science and Letters, and is a part of the Finnish AI programme.